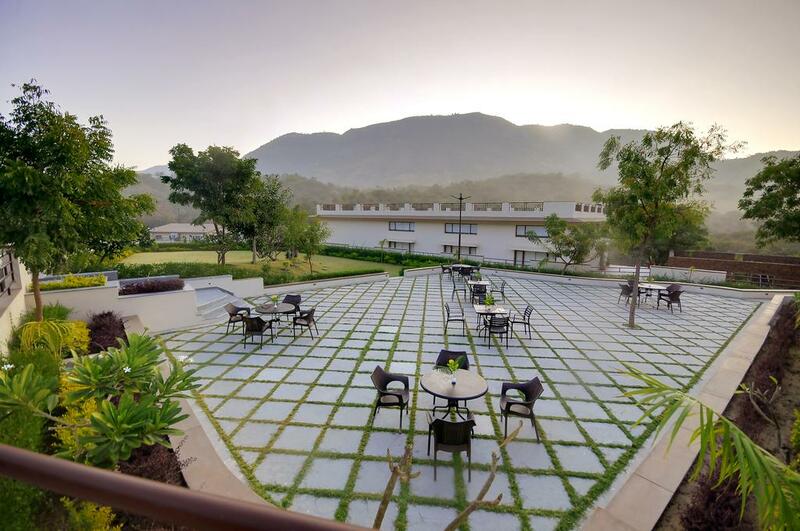 At Le Madhulika Maharana Resort & Spa we offer traditional Hospitality meeting international standards in lap of nature, surrounded by Aravalli Range in three sides. At Le Madhulika Maharana Resort & Spa, our guests can enjoy their stay watching whispering variety of bird’s or wild life roaming around. It is not just a destination to spend your holidays but too experience the natural serenity full of flora and fauna. Safe Deposit Box-Front Desk, Room Service, Complimentary Newspapers in Lobby, Currency Exchange, Internet/Wi-Fi, RO Water Purification System, Party Hall, Elevator/Lift, Front Desk, Gardens. Refrigerator Room, Safe Deposit Locker Facility, Daily Room Cleaning, Complimentary Newspaper, Ceiling Fan, Air Conditioning Room, Child Care, Desk, Reading Lamps, Shower Caps. User reviews for "Le Madhulika Maharana Resort Udaipur"